Chloe is a healthy 2.5 year old female seal. 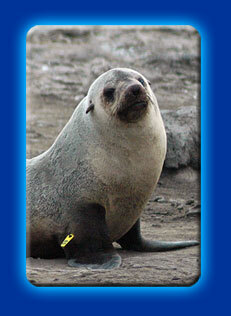 On her first tracked trip, Chloe went south 40 km then toward the east for another 40 km, before returning to Seal Rocks. She was out for 5.5 days, reached a maximum distance from Seal Rocks of 66 km and travelled at least 185 km through the ocean. Where Chloe went while being tracked.